West Feliciana Parish school bus drivers raised more than $600 to help ensure a merry Christmas for students in need. They also delivered fruit baskets to the elderly. 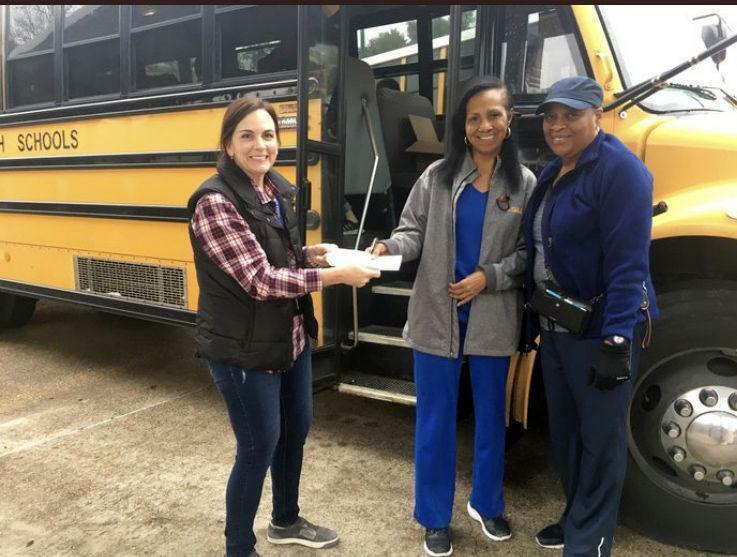 Here, West Feliciana Middle School teacher Shellee Harvey accepts a check on behalf of the school's students from bus drivers Martha Duncan and Hilda Grant.